On hand as just another Con attendee, writer/actor/comedian Brian Posehn had the misfortune to be walking by as we interviewed Tom Kenny. Though he protests that he himself is unfunny, anyone who has seen him as the ultra-nerdy office boy Kevin on Just Shoot Me or in his many roles on Mr. Show know differently. After much cajoling among Fanboy Planet staff, Brian kicked Tom Kenny out of his chair and sat down with us, warning us that he feared he wouldn’t say anything funny. Though Brian has nothing to do with Comic Book: The Movie, the gang at Creative Light Entertainment still let us use their booth, and we appreciate it. Derek McCaw: Tell me a little about your background. I didn’t realize you had been a stand-up. Brian Posehn: Yeah. I started in Sacramento and San Francisco. I was going to school in Sacramento, and a friend dared me to try stand-up. I did and then I loved it. Did a lot at The Punchline (San Francisco’s top comedy club), lived in San Francisco until ’93, and moved down to L.A. That’s around when I met Bob and David. BP: They were doing live scenes around town, around L.A. first, and I did a couple of different things with them. That’s kind of how I got the writing job (on Mr. Show), because I did my own sketch show and I had Bob act in a couple of scenes. So he saw my writing. I mean, he already knew my stand-up was funny, but then saw that I could write sketches, too. I was involved in the very early versions of the show. It was called “The Three Goofballs” a couple of times, and then they started calling it just “Bob and David.” We did it in tiny theater spaces in L.A. before HBO stepped in. DM: Are you involved in this Mark Hamill project, or are you just hanging out at Comic-Con? BP: I’m just saying hi to Tom. I just walked by. Well, obviously, Jill (Talley, Tom Kenny’s wife) and I are good friends. So I came over looking for him. DM: By the way, Brian is wearing the Bring On The Bad Guys classic cover. DM: So you’re a long-time fan. BP: Oh, yeah. I dropped out of it for a while, because, you know, when you’re a struggling comic you can’t really afford to buy books. Then I got back into it. DM: So what are your favorites now? BP: The ones that are currently being made? Powers. The Authority was amazing. I read Alias. DM: So a lot of Brian Michael Bendis. BP: Yeah, Bendis. Were all those Bendis? I really like Ed Brubaker’s Batman. I’m not really reading any X-books anymore. Oh, no, I actually am still reading Grant Morrison’s X-Men. That’s it. And then I collect. DM: What are you looking for here? BP: Romita Spider-Man. Any Neal Adams stuff from the same time. Those are like my favorite guys. DM: Neal Adams didn’t show up this year. BP: Yeah. I talk to him every year. I’ve gotten a couple of drawings. I’m a huge fan. He’s probably my favorite all-time guy. DM: You worked with Icebox.com, too, didn’t you? BP: My friend Matt Selman wrote that thing, “Superhero Roommate.” Myself and Dave Foley were in that. DM: I should have guessed you were a big fan from doing that. BP: Yeah. And I’ve done my share of animation. I did the Clerks animated series, I did a couple of voices on that. I’m on this thing that’s on Cartoon Network now, Mission Hill. They just started showing it. We did it for Warner Brothers like three years ago or four years ago. DM: You’re on a weekly sitcom that’s doing well. How has that changed your dating life? BP: I get way more prostitutes now. It hasn’t really, because I’ve had a serious girlfriend the whole time. Girls flirt with me more now, girls that would never have flirted with me in my entire nerdy f***ing life. But now it’s great, and I’m not doing anything about it. My friends hope that they can get my backwash. But they never can make that happen, because my friends are bigger nerds than me. DM: Good to know. You’re going on the Mr. Show tour, are you excited? BP: Yeah, I am. I’ve never been in a bus doing the rock thing. It’s going to be like we’re a band, a band of really nerdy mean-spirited writer guys. Half of them smoke pot, and the other guys just drink a lot, so it’s going to be a fun tour. DM: Do you have a plan for your career? BP: Do I have a plan? The same plan that I’ve always had, just do as many things at once and hope that something’s gonna hit. I keep pretty busy. I write a ton, and I do stand-up a lot again. I do touring when I’m not on Just Shoot Me. I end up at places I hate, and getting paid to be there. Like Omaha, Nebraska. I shouldn’t be there, I have no business being there. DM: Has Marvel approached you about writing? It seems like they’ve approached everybody else. BP: I haven’t talked to Marvel, but I’ve talked to DC about some stuff. I wrote one treatment that was just too f***ed up, but we’re going to do something eventually. BP: It was just that they thought they’d get in trouble. 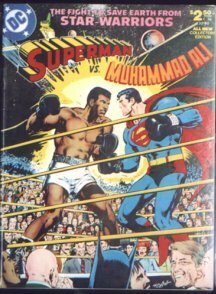 They laughed, and went “aaah, this is a great idea, but no.” It was…do you remember that Treasury Edition of Superman vs. Muhammad Ali? BP: I did one with another friend of mine, a Simpsons writer; we came up with an idea that supposedly came out at the same time, but they pulped it. They never put it out because it was too offensive. It was Superman vs. Ayatollah Khomeini. It’s just pretty ridiculous. And we would do like a Treasury, with all these people in the audience watching them. We were going to follow the same plot as the original, where it’s aliens that have decided to make Superman and the Ayatollah fight. It was going to be the battle of the century. Just like the original book, retarded but in a different way. Purposely retarded. 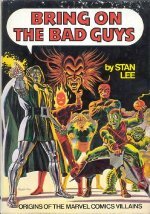 DM: Did you propose it at the time that DC was suffering a lot of bad publicity for pulping books? Was that part of it, too? BP: ….yeah, kind of around then, it was like, two years ago. 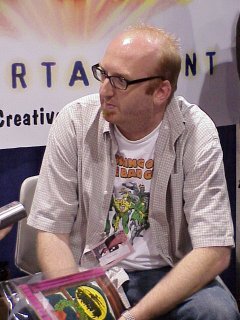 UPDATE: Of course, Posehn has now written for Marvel. With Gerry Duggan, he had a very successful run on Deadpool, among other books.